In 2016, virtualization in the cloud will mean most any application will run within a cloud environment — s step forward for many organizations. Just build and deploy in the native container (Java’s JVM, a dot-net infrastructure, PHP or other scripted language). Of course, Gartner predicts growth, some of which will come from calling traditional IT offerings "cloud" just by way of moving apps to a new data center. Nevertheless, migration of applications to cloud-based infrastructure will continue. While infrastructure is the usual focus, better services will be delivered via an application-oriented migration. Virtualization addresses infrastructure expansion, but being “cloud-ready” will mean expansion into app-level deployments that are agile (easy to maintain and upgrade), scalable (take advantage of on-demand capacity) and reliable (secure and crash-proof). To leverage this coming groundswell, I advise revisiting applications, their integration, and the underlying data architectures. Perhaps these components need to be tweaked, or revised? I suggest considering new tools for deployment, monitoring, and management. Bluedog’s own infrastructure uses automated monitoring to alert our technologists to bottlenecks and highlight potential capacity issues — before an outage occurs. We use Nagios to monitoring infrastructure. It generates alerts when running out of disk, CPU, or memory, a reactive approach. Proactive monitoring generates alerts when a system is starting to experience symptoms that can lead to a degradation of performance or capacity, a preferable outcome. Tools such as the SWING Dashboard displays key performance indicators (KPI) daily, with a user-focused, visually appealing display. Haptic feedback can be useful with touch displays. How about holographic haptic feedback? Engineering researchers in Japan have come up with just such a scheme! Tired of waiting for a solution, George Hotz designed a self-driving car. Himself. Although his self-driving configuration is more like an autopilot feature on a Tesla -- meant for highways, not city streets. Nevertheless, impressive engineering feat, from the original iPhone hacker. In Japan, the police are being proactive about illegal dangerous drone incursions, with a drone-snatching... drone. 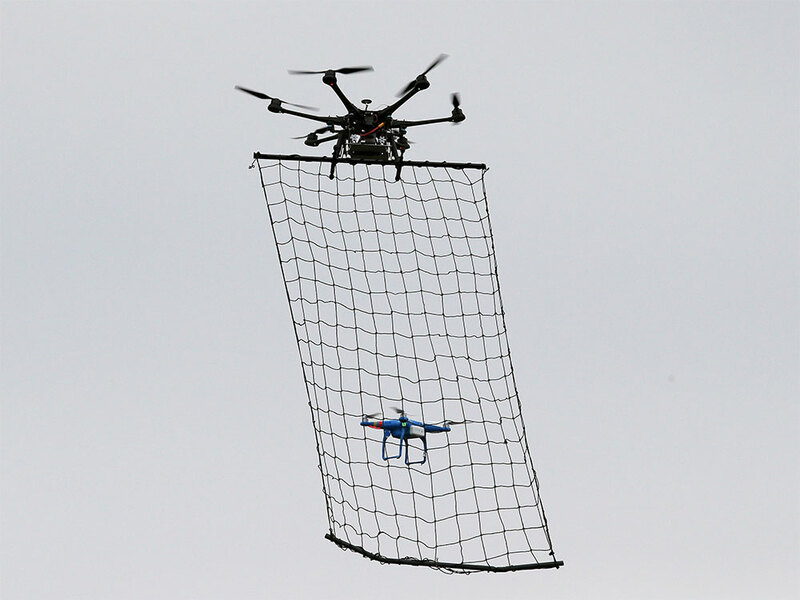 In video footage and pictures photos, the police unit appears to be equipped with a custom net for netting illicit aerial vehicles in the skies over Tokyo. US citizens may require visas to enter the EU should the United States move ahead with plans to scrap visa-free travel for select EU nationals. Twenty-eight member state ambassadors to the US made the threat on Monday (14 December) in an op-ed in The Hill after the US House of Representatives voted in support of the Visa Waiver Program Improvement Act of 2015. The US bill would ban certain EU nationals from entering the US without a visa if they had visited Iraq, Iran, Syria or Sudan after March 2011. This is referring to specific nationals with a history of travel to Iraq, Iran, Syria, or the Sudan, but the idea that visas will be required in addition to the security screenings (and biometric scanning) already done, is an added impediment to U.S. - E.U. partnership. Over at The Telegraph, we read that Google considers the UK a key market for development of its self-driving cars. It seems the company is "very positive about the non-regulatory approach being taken in the UK, [placing] the UK in a good position and could be seen as an example of best practice." Google has also escaped excessive regulation in the area of drone development in the easier regulatory climes of Australia. The U.S., on the other hand, is regulating toys as well as radio-controlled vehicles and non-UAV type drones. All but the smallest will qualify for tracking by the Federal Aviation Administration as the agency attempts to impose order on the burgeoning hobbyist use of the unmanned craft. Drones must be registered starting Dec. 21 and the agency will charge a $5 fee, which is required under current law, according to the FAA. Google claims that a controversial computer it purchased in 2013 is capable of using quantum physics to solve math much faster than regular computers. They note that the type of math it solves is crucial to the development of artificial intelligence (AI). Companies such as Microsoft, IBM, and Google (as well as several governments) have been trying to develop quantum computers which use quantum mechanics to handle data. It is believed that quantum computers can make AI computers much more powerful. NASA has high hopes for the technology, as well. “It is a truly disruptive technology that could change how we do everything,” said Deepak Biswas, director of exploration technology at NASA’s Ames Research Center in Mountain View, California.